Julie Frechette, Ph.D., is Professor and Chair of the Department of Communication at Worcester State University, in Massachusetts, where she teaches courses on media studies, critical cultural studies, media education, and gender representations. Her most recent book, Media Education for a Digital Generation (Routledge Press, 2016), provides a framework for developing critical digital literacies by exploring the necessary skills and competencies for engaging students as citizens of the digital world. 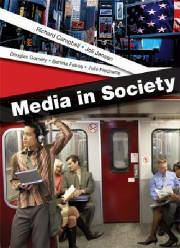 She is also the co-editor and co-author of the book Media In Society (Bedford / St. Martin’s Press, 2014), as well as numerous articles and book chapters on media literacy, critical cultural studies, and gender and media. 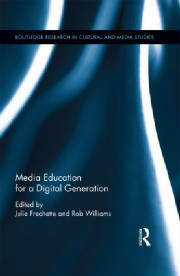 Her book, Developing Media Literacy in Cyberspace: Pedagogy and Critical Learning for the Twenty-First Century Classroom (Praeger Press, 2002), was among the first to explore the multiple literacies approach for the digital age. She serves as co-president of the Action Coalition for Media Education, and a board member for the Masters Degree Program in Media Literacy and Digital Culture at Sacred Heart University, Fairfield, CT.
Dr. Frechette currently serves as the Department Chair. Previously, she served as the Communication Department Internship Coordinator and the Director of the Center for Community Media, where she collaborated with department members and students to engage in community outreach and development through media literacy and production. Dr. Frechette has led a series of projects, including teaching video production and media literacy to youths at the Boys & Girls Club of Worcester, providing media literacy workshops within the greater community, organizing speakers series and film screenings, and developing the department program. Her most recent conference presentations were in Rome (2016), Sonoma (2016), Vienna (2015), and Toronto (2015). In the summer of 2007, she was invited to be an international visiting lecturer and conference speaker in Norway at the University of Bergen. Among the international conferences she has attended, she has presented refereed papers in Vienna (2015), Toronto (2015), Prague (2014), London (2010), Oxford (2009), the University of London-Royal Holloway (2008), and London University (2004). 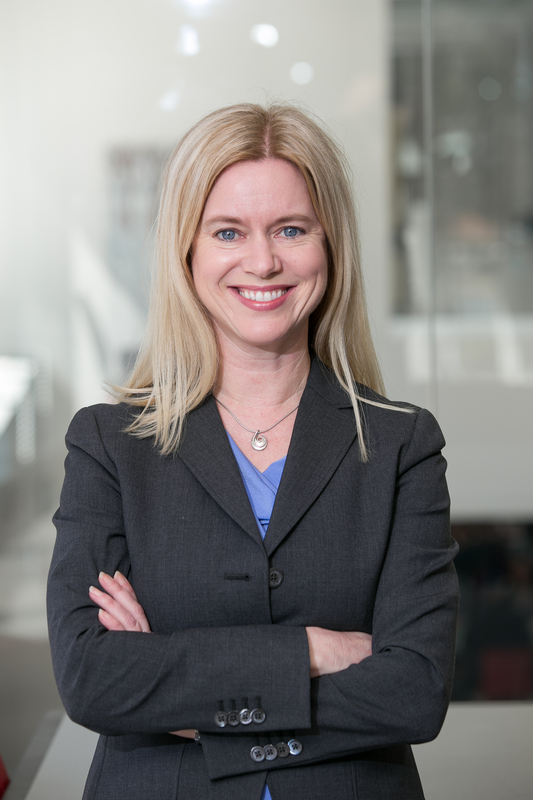 She has spoken at dozens of national and regional conferences, and is always seeking to collaborate with others in research and professional development. In addition to her departmental responsibilities, Dr. Frechette co-founded and co-directed the Center for Teaching and Learning at WSU for seven years as a means to assist the pedagogical and curricular needs of faculty. She worked with a university team to obtain a $143,000 grant from the George Alden Foundation to support a faculty fellowship program, as well as to assist with the Teaching Excellence Award, both of which she helped establish. Knowing how much support new faculty need upon beginning their careers at a new institution, she helped create the university’s Mentoring Program which pairs faculty for transitional needs and scholarly collaboration. In addition to her teaching responsibilities and involvement in the Communication Department, Dr. Frechette applied her graduate concentration and scholarship in feminism to the Women’s Studies Program at WSU. For over seven years, she organized a series of events, including the annual Month Without Violence programming in conjunction with the YWCA Daybreak Center and the Worcester Invervention Network. For three years, she served as the Program Director of Women’s Studies, where she collaborated with other dedicated faculty to offer interdisciplinary courses and expand programming. Currently, she teaches the cross-listed Communication course Gender & Media. Dr. Frechette is the recipient of the WSU Teaching Excellence Award, the WSU Extraordinary Dedication Award, the International Communication Association Award for Outstanding Teaching by a Graduate Student, and the Wilbur Sims Memorial Award for Excellence in Scholarship, Character, and Dedicated Community Service. She has been cited in numberous news articles, including Time.com and Inside Higher Ed, and has been featured in local media including Worcester Magazine and GoLocal.